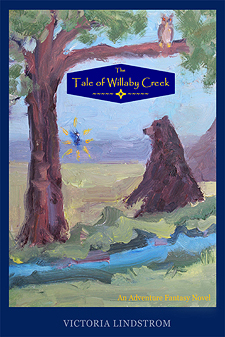 When a violent windstorm strikes an enchanted rain forest many of the woodland creatures of Willaby Creek are stranded, injured, or lost forever to the frenzied force of the tempest. Basil, a black bear full of doubt and fear, becomes the unlikely leader to head the woodland creatures' rescue. He is joined by Daphne, a spunky blue dryad; Oliver, a wise horned owl; Elbert, a noble elk; and a host of other creatures that inhabit the enchanted rain forest.